Welcome to Emad’s Blog. 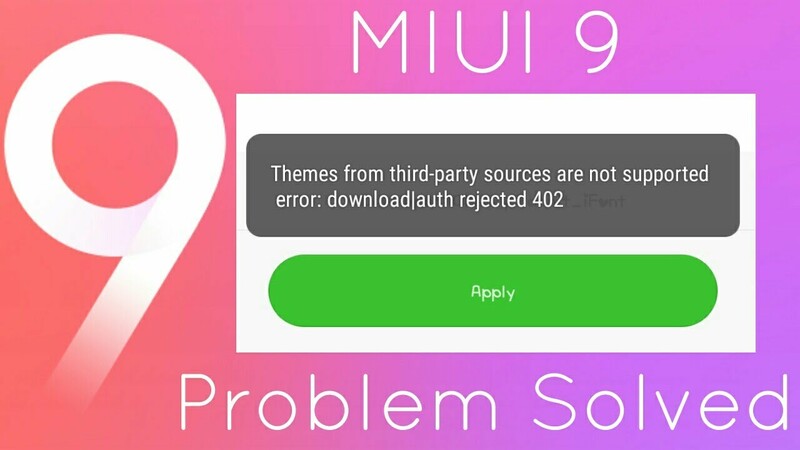 Today in this article, we’re going to learn how to fix third-party error on Mi Theme Store. Recently I downloaded the amazing iPhone X theme for Mi Note 4 and I imported it to find this error. I spent a couple of hours searching for the solution and finally fixed it. I decided to share it with you guys as very less source are available to fix this issue. Download the required theme from the internet. Here’s the iPhone X theme I’m talking about. Now, open Mi Theme Editor and click on Browse to select the theme you downloaded in step 1. After selecting, save the theme with your own name to your desired location. Now, go to Mi Themes and import the theme you saved in step 3. Apply the theme and enjoy!